I stayed for one night. Very happy with the amenities and ambiance. Pool is clean and spa is fantastic. Could not have asked more. Value for the money spent. However one observation is need to prevent the leaks from taps. Observer the leak in my bathroom and also in the massage room. Good: The location was convenient to the airport, our flight arrived late (9pm) and departed early the following day. (7am). Needs Improvement: The check-in service was slow, it took close to 25min to check in, there were only 2 agents with a line of 7 guests waiting to check in. Rooms were dated, smelled of mildew, there was only one intl plug in the room (behind the desk). I was first issued a smoking room when I specifically requested a non smoking room, the room was the last room of the wing ending in 29 so it was a walk! Never a good idea of a single female traveling by herself to put her in the last room on the floor!! Interior was too old. Need renovation. Smell not good in the room. Maybe because of humidity of the old room. Breakfast not too much variation. And the taste so so. 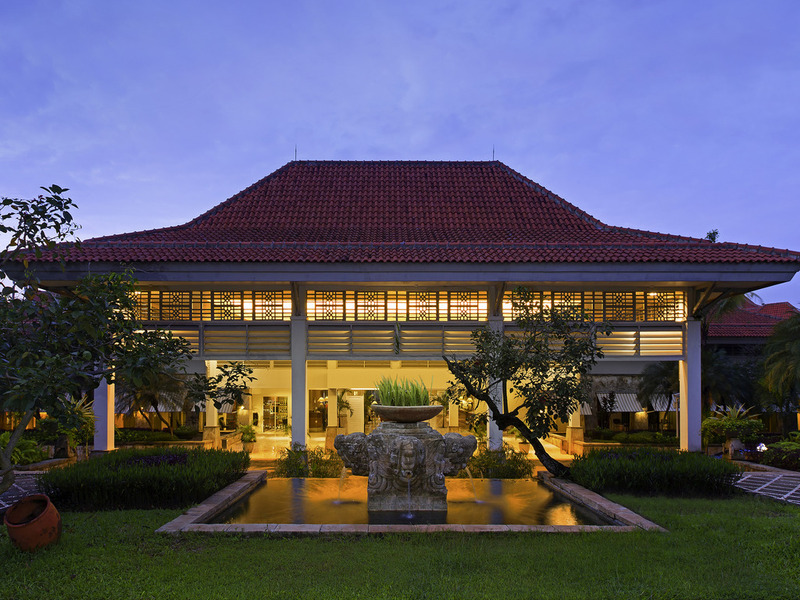 I had a great experience staying at Bandara International. Staff was really nice. Service was excellent. Food was excellent. Staff helped me in choosing menu as per my taste. Overall a nice stay. When I checked in late evening, the front desk was ready to expedite the check-in process with no delay. They know those who check in late evening are travelers thus they are very tired. I just stayed there for one night and can not judge the overall facilities and surroundings. But my bathroom was not clean (actually there were dead cockroaches) and the room was pretty much worn out. The shuttle service from the airport to the hotel needs urgent improvement. I stayed twice this year in your nice hotel and needed to be picked up at the airport. In both cases, I was deeply disappointed because I had to wait for more than one hour. Other guests had the same experience. Once at your hotel, I was very satisfied - friendly stuff and nice rooms as well as breakfast. The shuttle from your hotel to the airport was as expected - very good and in time. One can rely on. Overall experience was within expectations. I like the regular shuttle to and fro airport. Dear accors, Pardon me.. I think your facility is too old, example for your bed is too soft and not Comfort for sleep, your bathroom facility too. Please renew it. Front desk not competent, efficient or understanding English. When I checked in they did not inform me the WiFi was down and it was not working for most of my stay. Most unimpressive for an international airport hotel. I will not be going back.